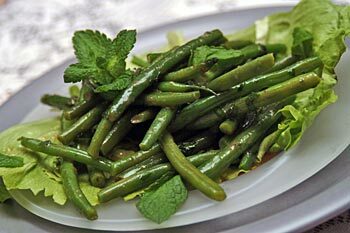 Clean and cut fresh green beans blanche and drain. Prepare a dressing from the rest of the ingredients and pour over the beans while they are still warm. Serve immediately on a bed of lettuce. Posted by Chris Walker on December 1, 2006 in Green beans, Salads.